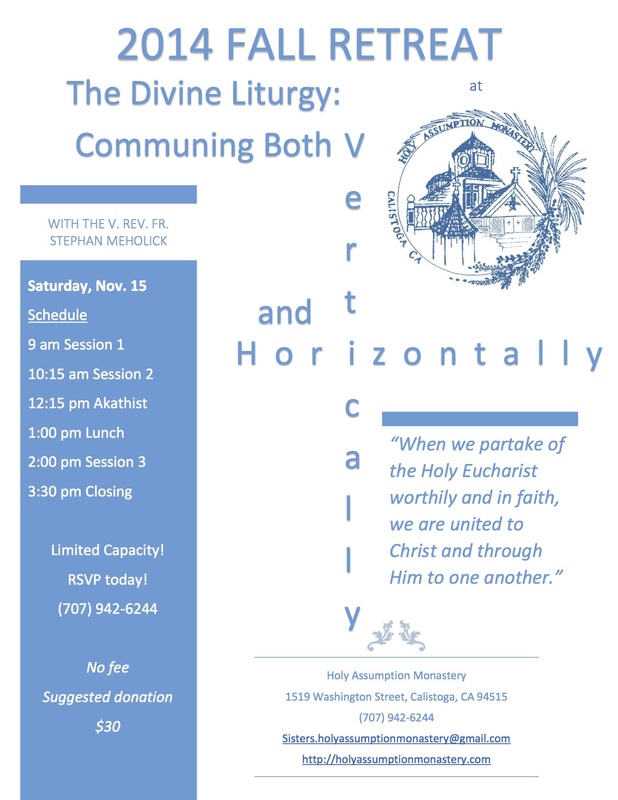 Retreat synopsis is available in our newsletter. All talks are recorded with the permission of the speaker. The recordings posted on this website are for personal use and/or for educational purposes. CDs of the recordings are available upon request (please contact Holy Assumption Monastery to obtain a copy), or make your own from the recordings posted on this website. Making copies of the recordings posted on this website for the purpose of resale or altering the recordings posted on this website is not permitted without the expressed written permission of the speaker.